We're halfway through the Premier League season but who have been Albion's star performers in the opening 19 games? Here we rate every player's campaign so far. The highlight of Albion's season to date was the 3-1 win at home to arch rivals Crystal Palace when they played with ten men for more than an hour. 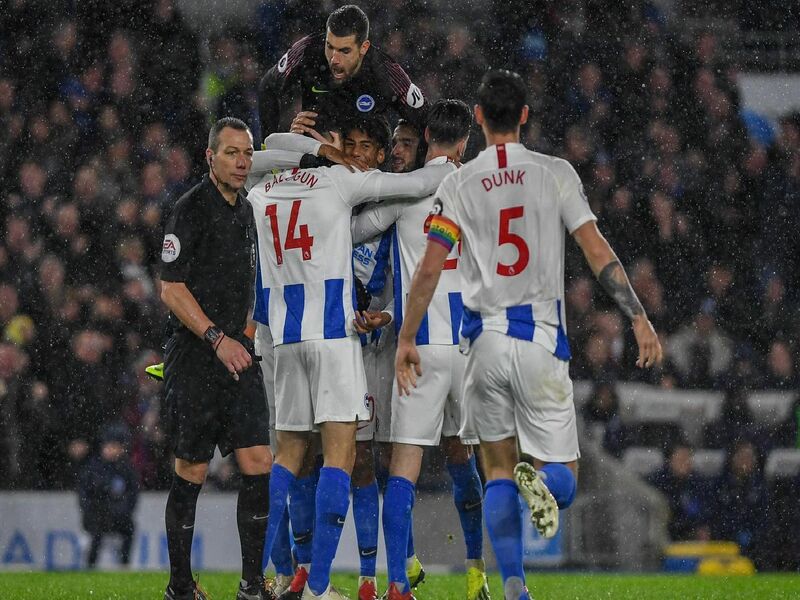 The early-season 3-2 victory at home to Manchester United was also a stand-out moment and the Seagulls also recorded three successive 1-0 Premier League wins in October. Had a difficult start in the opening game of the season at Watford and then had to wait until November to get back into the side. The Brazilian has got better with every game since. Replaced Bernardo in the starting line-up after the defeat at Watford and has never let Albion down. Always a tricky defender for opposition wingers to get past. Has been on the bench in recent weeks. Albion's captain has been in and out of the team but never lets the side down. Provided Glenn Murray with the assist in the 1-0 win over Wolves as the duo became the oldest pair to combine for a goal in the Premier League's history. Scored a spectacular half-volley against Crystal Palace but was punished for a mistake in the defeat to Chelsea. Steady performer at the back and a more than able deputy for Albion if Duffy and Dunk are out.